This kind of short-sightedness is pretty common. When we think about life purpose, we very often think big. Big dreams are good! But every big dream started somewhere small. Jesus taught that those who were faithful in little things would be trustworthy to manage bigger things. (Luke 16:10) This is not an arbitrary judgment where people who audition well for the small roles will eventually be rewarded with big ones. This is the natural process of growth. Small seeds grow into big trees. You can’t rush the process. You can resent it, or you can invest in it, but you can’t rush it. We imagine that we’ll have a powerful spiritual life when something big happens. When we become an author or a singer, when we find that one perfect ministry that’s exactly right for us, when we finally get that perfect job, then we’ll feel satisfied and fulfilled. But this isn’t how life works. Start by looking where you are. How? Well, you will experience spiritual vitality when you are living out your God-created life purpose. So, finding that sense of direction is a pretty important next step. In a previous post I suggested that you can discover your purpose by exploring three areas of God’s design: Your identity in Christ, God’s universal design for all of us, and God’s unique design for you. At this intersection you will find a vibrant place to live your life. You can find the clues to your unique design, not by looking at some distant, glorious destination, but by looking close to home. God has been a part of your whole story. The Master Artist wove you together in the womb. (Ps. 139:13) God’s been present through all the different circumstances of your life. 6 ways to think about your unique God-given purpose? 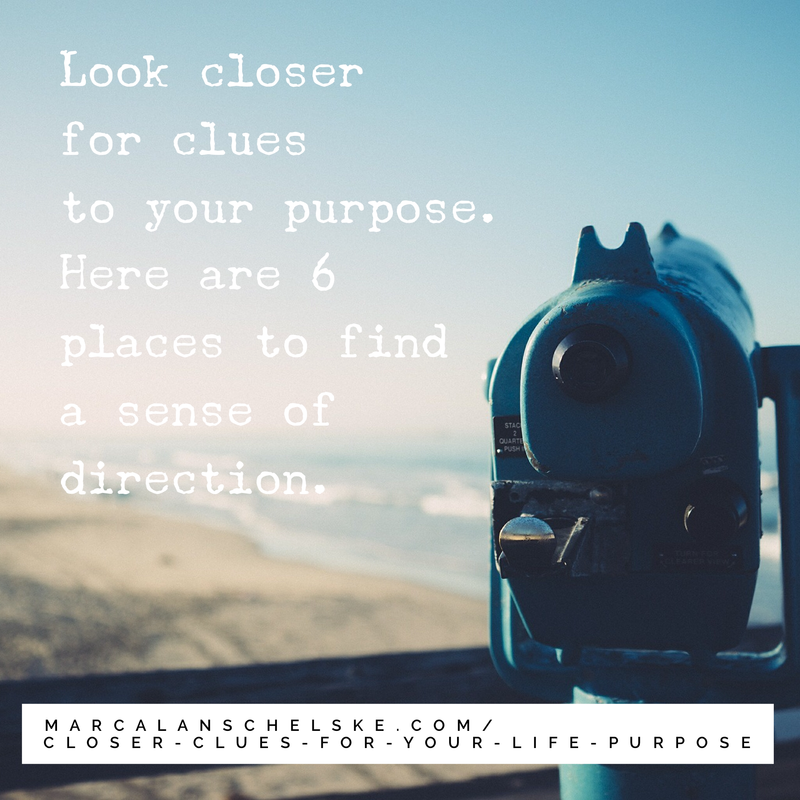 Look closer for clues to your life purpose. Biologists and psychologists debate how our personality is formed. What part is genetic? What part is the result of parenting, or culture, or life experiences? However it came to be doesn’t matter. You are wired in a certain way. The more you can understand how you’re wired, the more you will be able to make wise decisions about how to move forward in your life. An introvert is going to relate to God differently than an extrovert. Knowing whether you are task-oriented or relationship-oriented will help you understand why you love certain commitments and dread others. Being aware of how you perceive and process information or emotions can help you avoid miscommunication in relationships. Invest some time in learning more about yourself. Personality inventories like the DISC assessment or the Myers-Briggs Type Indicator can give you insights into how you are wired. The Enneagram can give you insight into the way you experience the world. Tools like these, together with observation and input from close friends and counselors, as well as journaling and personal reflection can provide a useful understanding of who God has made you to be. The more you understand yourself, the more likely you are to find paths that are life-giving. There are things you can do well that others can’t. Some of these seem almost inborn. Others of these are the result of long hours of practice and investment. These skills and talents are how you make your mark on the world. But did you ever stop to think about where those things came from? Before you say that you worked hard for them, consider this. Where did the opportunity come from for you to work hard? Where did the interest come from? What motivated you to give so much time and energy to that endeavor? You may not have seen it, but God has been in the mix the whole time, encouraging you forward. Get clear about your gifts. Maybe it’s something outwardly visible like a beautiful singing voice. Maybe it’s something internal like your ability to naturally see your way through a complex problem, or the way that numbers just make sense to you like a second language. These skills and talents are nothing to be ashamed of or hide. This is another way you can begin to see how God has wired you up and prepared you for the good and beautiful purpose made for you. Are you a college student with lots of freedom? Are you a single parent whose whole life revolves around caring for three kids? Are you and your spouse retired empty-nesters? The season of life that you are in is one more clue to how you can make a difference in the world. Your season of life gives you unique gifts and limitations. College students have a lot of flexibility and freedom with their time, but they don’t usually have a lot of money. Parents don’t have as much time, but they have unique insight into the lives of kids. Retired people have lived a whole life already, and with that comes wisdom and life experience. Instead of resenting the season of life you’re in, look at it carefully. Here you may find your mission field. Your story to this point is what has shaped you. Weaving together all the aspects of who you are, your story forms a trajectory, a sense of direction. All too often we dismiss our own experience. We see it as normal and uninteresting, something that happened on the way to what’s really important. But this demeans God’s presence and direction in the common moments of your life. Did you go to art school? Did you fight in Desert Storm? Did you grow up on food stamps? Were you raised in a well-rounded, healthy, family, or one that was painfully dysfunctional? Did you spend years in team sports? Were you excluded in high school? All of your experiences, no matter how insignificant they seem to you, are a part of what God has used to shape your life. 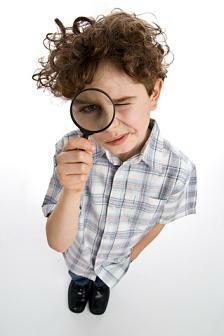 Looking closely at your life experience is another way to uncover clues about who God has made you to be. Thinking through your story is especially important because this is where we find our passions. There are things that each of us are particularly drawn to, but passions are something even deeper. The English word passion derives from the Greek word pathos, which originally referred to pain. In this sense, a passion is an area of interest that you are drawn toward so deeply that it brings your heart heaviness or pain when you think about not caring about that thing. So, people who are passionate about serving the homeless don’t just do it because it’s a good thing to do. They feel a deep and motivating compassion that drives them forward. People who are passionate about creating art aren’t just interested in it; they feel pain when they can’t create. Not everyone has identified a personal passion, but those who have know it. It’s something you can’t shake. If you are one of those who knows you have a passion, then be clear about this. A passion isn’t just an interest. It is an invitation from God, a destination where you’re being asked to give away your life. This isn’t just a clue about your unique purpose; it’s giant blinking neon sign. The most powerful clue for our unique purpose lies in our brokenness. We shy away from this pointer. Perhaps we avoid this area because of shame or fear, but we shouldn’t. When we can embrace and engage our brokenness, we come closer than by any other path to God’s presence and purpose in our lives. More than that, we find where we can make the most difference in the lives of other people. Part of this is about shared experience. A sober addict can reach out to struggling addicts because he’s been there. A woman who was sexually abused can create a safe space for others because she knows what it’s like. But there’s more. Dream big. That’s an important part of life. Don’t settle for less. But while you dream big, don’t overlook the clues to your unique purpose that lie right at hand. God’s woven them into your life. 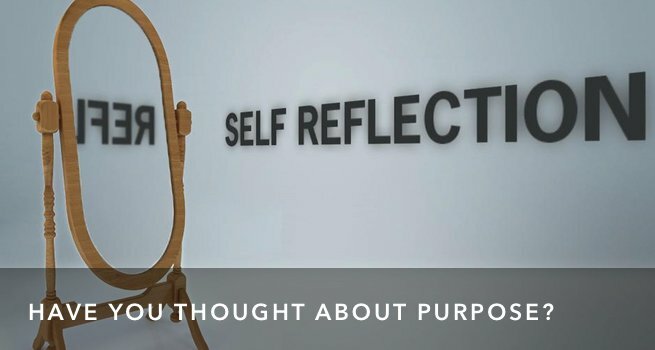 Question: What do these 6 areas say to you about your unique purpose?